LOS ANGELES, Calif. /California Newswire/ — MostFit is excited and proud to announce the onboarding of internationally recognized exercise physiologist and certified sports nutritionist Tom Holland, as a Brand Ambassador. Founded by trainer Andrew Gavigan in 2011, MostFit is focused on creating and sharing affordable, efficient and accessible fitness equipment. Tom will represent the MostFit brand and products via his plethora of channels, and work with MostFit to provide insights on education and program development as well. 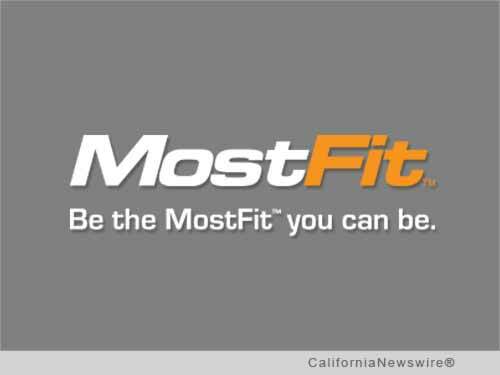 Dedicated to making fitness enjoyable, dynamic and results-oriented, MostFit is a new Fitness Product Line that hit the market a little over a year ago. Most noted for the new Core Hammer and SYN-Rings, MostFit is focused on creating and sharing affordable, efficient and accessible fitness equipment that empowers individuals to get stronger and to workout anywhere, any time. "The MostFit brand and product line is such an interesting collection of dynamic fitness tools, it's exciting to be a part of this," says Tom. "I look forward to helping the brand gain recognition among fitness enthusiasts, because people need to know about – and try these products!" MostFit is already gaining recognition and acknowledgement as a strong player in the market, and has formed distribution partnerships with Perform Better, Gopher Sport, Power Systems, and can also be found in key retail outlets in and around L.A., as well as online at http://Most-Fit.com/. "I'm excited to partner with someone of this caliber in the fitness industry," said Andrew Gavigan, MostFit Founder and President. "Tom is a breath of fresh air, and closely aligned with our brand culture and where we want to take it." Tom received his BA in Communications from Boston College and his Master's Degree in Exercise Science and Sports Psychology from Southern Connecticut State University. He is a Certified Strength and Conditioning Specialist, certified by the National Strength and Conditioning Association [NSCA-CSCS] and has also been certified by the American College of Sports Medicine [ACSM] the American Council on Exercise [ACE], the National Academy of Sports Medicine [NASM] and the Aerobics and Fitness Association of America [AFAA]. Tom is a Level 3 coach with USA Cycling and is a member of the Association for Applied Sport Psychology. With his message of "Believe in Yourself," Tom has encouraged and coached thousands of people around the world to reach their fitness goals.